If you have a business with multiple locations, then the usual assortment of local SEO tips will still apply, but with one caveat: you’ll need to follow them for each location. That’s a whole different different, and more complicated, ballgame. In this article, we’ll go over local SEO tips that you should use if you’re running a business with more than one location. Let’s look at each of those efforts in some detail. The first thing to do is to add local listings for each location. If you’re not familiar with local listings, they’re online listing platforms that give you an opportunity to tell the world that your business exists. It’s often the case that people in your target market stumble across some local listings when looking for a business that provides your products or services. Let’s look at some local listing options. This one should be a no-brainer. After all, if you’re trying to optimize your online profile so that it appears in Google’s search results, why wouldn’t you list your business with the search giant? 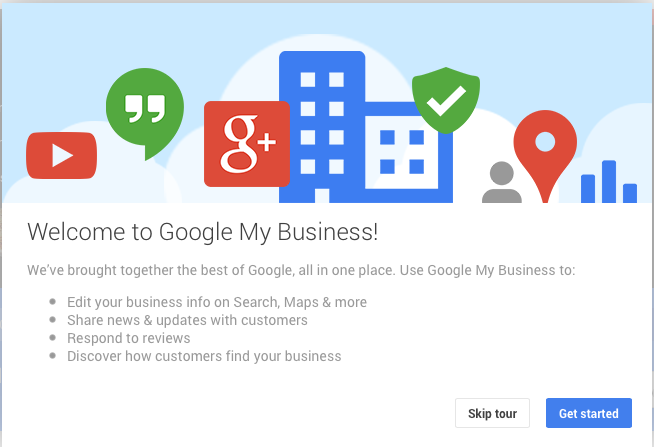 If you haven’t already done so, get over to Google My Business (GMB) and add your listing. Provide as much detail as you can. Let’s pause right here and make note of one very important point: you should ensure that your business address appears exactly the same way in GMB as it does everywhere else. Read that last paragraph again. You can’t ignore it. For example, if you list your business address as “123 Main St.” in GMB, list it that way everywhere else. Don’t spell out the word “Street” in another listing or use just “123 Main” in yet another place. Some bad things can happen with your rankings if your address isn’t consistent across all listings. You might have avoided Yelp because you think it’s a social sharing app. Or perhaps you’ve stayed away because you’ve heard horror stories about vindictive reviews. Those excuses shouldn’t keep you off of Yelp. Why? Because it’s one of the best sites on the Internet that discloses information about local businesses. Again, when you register with Yelp, make sure that you fill out your profile as completely as possible. That means you should add numerous photos to your photo gallery and supply all keywords related to your business. Keep in mind, though, that Yelp isn’t a “set it and forget it” kind of thing. You can be sure that people who visit your place business will leave reviews. You should monitor those reviews and reply to them. When you do that, you’ll engage with people in your community. That’s great for business. Bing Places is essentially Bing’s answer to GMB. You should complete a profile there as well. Please note that Bing might already have a listing for your business. If that’s the case, then you just need to claim it. If Bing doesn’t have a listing for your business, you’ll have to create one from scratch. To do that, you’ll go through the usual verification procedure that you’re used to. If you have more than 10 locations, you’ll have to follow a separate registration process. You’ll see a link to that on the main page. If there’s one word that stands out in local SEO, it’s this one: citations. That’s why so many articles with local SEO tips mention citations. They’re essential to landing a top spot in the local search results. What are citations? They’re your name, address, and phone number (NAP) in an online directory. Sometimes, though, they give you the opportunity to add a lot more info about your business beyond the standard NAP. We’ve already looked at one directory: Yelp. That one is so important that it stands out by itself, though. Acxiom – A marketing tech company that gives you the opportunity to add your business listing to its database. It’s a win-win for everybody: Acxiom gets more data and you get your business listed in a popular directory. Apple Maps – Because iOS is the second-most popular mobile platform in the world, you should make sure that your business is listed with Apple Maps. That’s especially important if you’re trying to reach people who are on-the-go. CityGrid – Described as “the only local advertising platform that works for everyone,” CityGrid offers not only a platform for a local listing, but also an API for developers. Facebook – Do you have a Facebook page with your business detail filled out completely? If not, then now is the time to add one. Factual – Billed as “the best location data for mobile advertising,” Factual gives you another opportunity to add your local listing online. Foursquare – Another great online directory that enables you to promote your business in cyberspace. Infogroup – A big data, analytics, and marketing services provider. Use its ExpressUpdate tool to add your local business. LocalEze – A marketing company that specializes in local listings. You’ll spend a few bucks to work with this company. YP – The online version of those big, bulky phone directories that you will only remember if you’re beyond a certain age. You can claim a free listing online. SuperPages – An online directory similar to YP. You can list your business for free. Thus far, we’ve only looked at the online properties you should use when adding local listings. But how exactly should you optimize those listings? First, write a unique main profile for each listing. Although that sounds like a pain (because it is), it’s also necessary. Why? Because if you copy and paste your boilerplate profile to every listing you’re duplicating content across the web. Google doesn’t like duplicate content. Next, optimize the content itself for your top 5 search terms. That way, your listing is more likely to appear in the search results for those terms. Make sure you include the keywords naturally, though. If it looks like you’re stuffing words in the content, you’ll annoy both Google and potential customers. Finally, link your main profile content to services offered on your website. That’s an especially great idea if you use a different page to describe each of your services. Remember: those links are backlinks from high-profile sites. They should help with rankings. To really make an impression with the search engines, you’re going to need some positive reviews. Unfortunately, even if you’re running a great business that provides outstanding customer service, you might find it difficult to accumulate great reviews. In that case, consider enlisting the aid of a reputation management company like Bird Eye. For a fee, Bird Eye will send your customers to some of the most popular review sites so they can sing your praises. If you’ve made it this far in the article, you might think that local SEO for a variety of business locations might be just a bit too big of a pill to swallow. After all, you’re a busy entrepreneur. That’s why you should consider outsourcing local SEO help. Then, you focus more on doing what you do best: growing your business. Services like Yext and Moz Local will maximize your online visibility to a local audience. Of course, they’ll do that for a fee. It’s not too much of a fee, though. The Moz Pro plan only costs $179 per year as of this writing. Your time is probably worth much more than that. Now it’s time to look at the second local SEO strategy: on-site optimization. The good news is that if you’ve done any kind of local SEO at all, then you’re probably already familiar with many of the techniques we’ll cover here. Keep in mind, though, that each of these techniques must be applied to every site. That means if you have a different website for every location, you’re going to be busy. The first thing you should do on your website is some good, old-fashioned content marketing. Start by finding keywords related to your niche that are also popular search terms. Then, write articles that include those keywords. If you’re not a very good writer or you simply don’t have the time to do any content marketing, feel free to outsource it to a qualified professional. It’s part of the cost of doing business. You’ll find that it’s easier for Google to parse the content of your site if you use schema.org markup. If you’re not familiar with it, scema.org markup uses tags to give the search engines more information about your website. For example: you’re obviously running a business, so you’d want to use the LocalBusiness markup. That’s how you’ll provide search engines with detail about your business, including its address, telephone number, and email address. Remember the rule from above, though: be sure to use the exact same address format in your markup that you use everywhere else! Schema.org markup will also let you add details about the products you offer. That includes important pieces of information such as the product price, description, color, width, and height. You’ve probably visited a website, clicked on the “About Us” page, and saw a small map on the screen that shows you the location of the business. That map is important for two reasons. First, it makes it easy for visitors to find the business. Second, it provides an association between the business website and its physical address. That’s just one more way that the Googlebot will link the location to the business. If you haven’t embedded a map on your website already, do so today. There’s some evidence that Google smiles on sites that consistently post fresh content. That’s why you should update your local pages often. It would be a wonderful, carefree world if webmasters could just create a website, give it all the necessary detail, and forget about it forever. Unfortunately, that’s not how it works. If you want to rank, you need to update your site regularly. End of story. Although it’s important to have reviews on other sites around the web, it’s a great idea to get them on your own site as well. As with fresh content, there’s some evidence that good reviews can push your site up higher in the search engine results pages (SERPs). Why is that the case? Because Google wants to give its users the best possible experience. It does that by pushing businesses with the best reviews to the top of the results list. If you do get some reviews on your site, make sure you add them with the schema.org Review markup. That way, Google can parse the reviews. You should also add the AggregateReview markup. Google will use that info to show people the average rating (displayed as stars) for your business. In the local listings strategy section, we mentioned the importance of linking from your profile page back to your website. It’s also important to link from your website back to your local listings. Why? Because backlinks are SEO gold. If you haven’t already done so, add links to your directory listings on your website. You can include those links in the “About Us” section of your site if it doesn’t seem like they fit in anywhere else. Here’s another callback to the local listing strategy: optimize your home page for the most popular search terms related to your niche. Although there may be countless search terms that people will use to find your business, there’s no doubt that some will be more popular than others. Make sure those terms stand out on your homepage. Also, make sure they appear in the meta description tag. That’s the part that people see when your listing appears in the search results. In some cases, you might need to include the most popular search term in your title. Use caution there, though, because you might want the title to more generally describe the nature of your business. Your business isn’t the only one in town. It’s also not the only one online. That’s why you should reach out to non-competing local businesses and ask for a backlink on their websites. But what can you offer in return? That’s easy: a link back to their sites! That strategy is a wonderful way to play “you scratch my back and I’ll scratch yours” with other local business owners. Even in the 21st century, one of the best ways to get discovered is still with ads. That’s why you should run ads with links to your local pages. Fortunately, there are plenty of advertising options online. Consider using Google AdWords, Bing Ads, and Yelp for starters. You don’t need to break the bank with ads to get discovered. Remember, you’re only advertising to a local audience and, in most cases, you only pay when somebody clicks. With the proper use of PPC ads, you can build some brand-name recognition and earn more business. Almost all local SEO tips fall under one of two categories: local listing optimization and website optimization. When it comes to local SEO for a multi-location business, you need to optimize for every single location. Otherwise, you’ll likely lose market share.